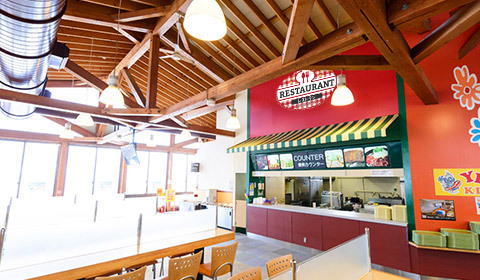 There are a lot of variety of food that selected by chef, and you can choose ramen or different cuisine. You can take a break here. 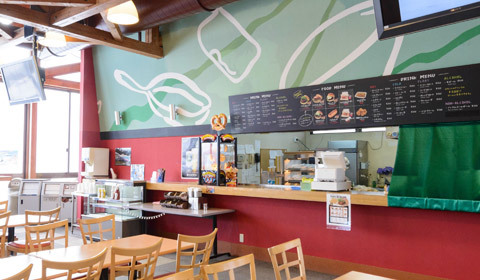 There are original hotdogs and warm soups. 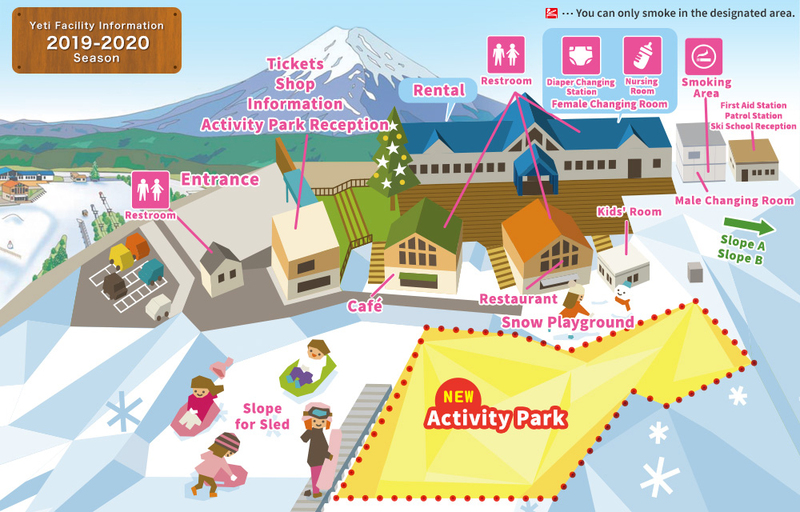 This shop carries a wide range of small items that people tend to forget like gloves, goggles, and hats so visitors can have fun playing in the snow without worry. It also features original products like Yeti Original Puff Cookies, our most popular souvenir, that make great mementos from your trip. Kids can take off their shoes and relax in the Daycare, so it’s a convenient place to kick back after playing. It includes lots of fun toys.